‘Sanjay’s Super Team‘ is that short and we’ve got a preview for you. Created by Sanjay Patel and inspired by his own childhood of feeling conflicted by the modern world and Hindu traditions of his family. 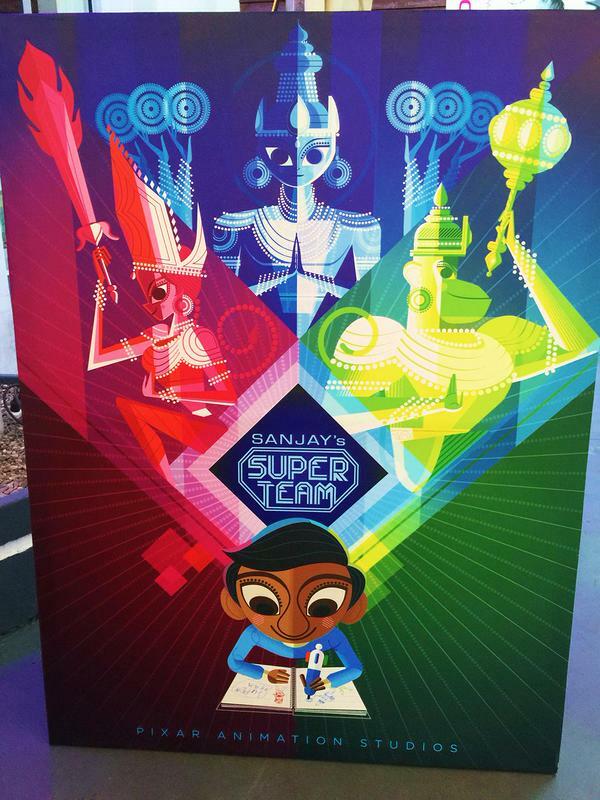 In ‘Sanjay’s Super Team‘, a young Indian boy daydreams of Hindu gods as superheroes. Check out the trailer and then check out ‘The Good Dinosaur‘ on November 25! This entry was posted on Friday, October 16th, 2015 at 2:45 pm	and is filed under Film, News. You can follow any responses to this entry through the RSS 2.0 feed. You can skip to the end and leave a response. Pinging is currently not allowed. « Film Review: ‘Steve Jobs’!